Busiku walks 3 miles to attend the local community school where she is in grade four, but when it rains she is not able to attend because the water level of the river makes it too dangerous. Absenteeism is a problem at the local community school which caters for 75 orphans and 45 vulnerable children; some children are too weary from hunger to walk to school, others are too ashamed of their worn, dirty clothing.Food, clothing and shelter are among the major problems which the orphans in Baraka are facing. Other challenges within the community include high levels of unemployment due to urbanisation, lack of clean water and no health clinic. Busiku’s story is not exceptional in Baraka. In a community with 900+ households, there are an estimated 500+ orphans and many vulnerable children. In the middle of this poor, rural community, a team of 26 volunteers are bringing hope to children like Busiku. In 2001 after seeing many children suffering as a result of the HIV and AIDS epidemic, home-based care began. Volunteers walk up to five miles to visit 30 orphans in their homes where they pray and encourage them, bath them, help with household chores and gather wood. Their vision is to see every orphan cared for. They want to be the parents of the present to children whose parents have passed away. 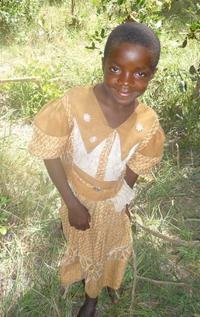 You can support a child like Busiku with basic health, education, and food security for only $15 per month. Follow this link to find more information on how you can help.